At long last, General Electric is on its way to exorcising the financial demons of Jack Welch. 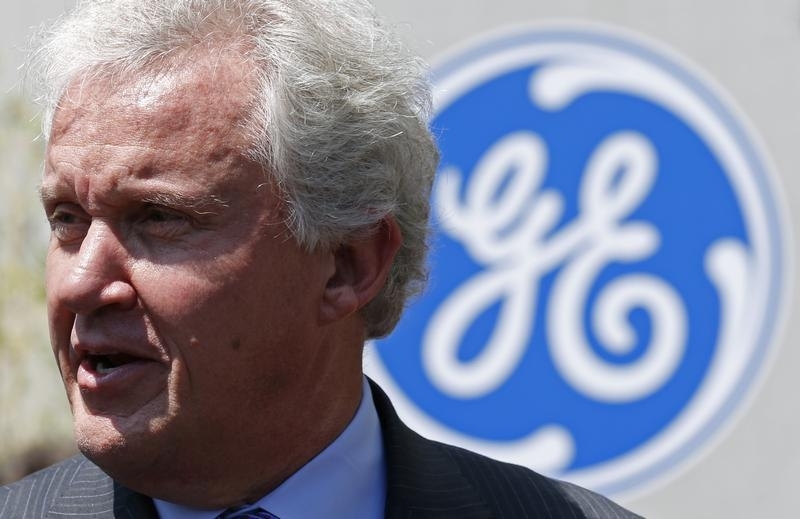 It took 14 years, a near-death experience and a flat-lined stock price, but Welch’s successor Jeff Immelt is now getting out of the banking business and returning GE to its industrial roots. It may have taken too long, but the timing works now on many levels. Immelt’s timing hasn’t always been so good. He took over as chairman and chief executive of GE on Sept. 7, 2001, and was at the helm for a financial collapse that led GE Capital to issue government-backed debt and cost the company its prized AAA rating. Since 2009, Immelt has been shrinking the unit’s balance sheet. On Friday, he started hacking in dramatic fashion. To start, the $260 billion pillar of corporate America said it would sell most of its commercial real-estate assets to buyout shop Blackstone, Wells Fargo and other buyers, in a collection of transactions valued at $26.5 billion. Over the next two years, GE plans to refocus its financial operations exclusively where they are directly related to benefiting its operations in healthcare equipment, energy and aviation. That will mean shedding something like $200 billion of assets on GE Capital’s books at the end of 2014 and fully offloading its publicly traded consumer credit arm, Synchrony Financial, to investors in a $65 billion divestment. It’s an opportune moment to act. The 31 percent rise in Synchrony’s shares since going public in August illustrates the growing appeal of financial assets and how lenders with large wholesale funding needs can exist on their own. What’s more, many U.S. banks are desperate for higher returns and have loan-to-deposit ratios low enough to take on some of GE’s corporate loans or its equipment, inventory or franchise finance businesses. By the time all this contraction has been completed, in three years, GE expects to derive 90 percent of its earnings from industrial operations compared to 58 percent today. That’s a GE more like the one Reg Jones passed on to Welch in 1981. The whole-hog push into finance wasn’t irrational, but the financial and regulatory arbitrage that benefited GE during the 1990s and early part of this century was brought to a grinding halt by the crisis and the greater oversight that followed. GE Capital’s designation as a systemically important financial institution put the whole Connecticut-based conglomerate into an existential conundrum. The regulatory overhang turned off an entire generation of portfolio managers, and the unit’s return on equity was, at 8.6 percent last year, below its cost of capital. Before the restructuring announcement on Friday, GE stock was down about a third since Immelt took over. Reducing GE Capital down to sub-SIFI size should rectify the Immelt discount in time for him to entertain a graceful succession. Handing another $90 billion back to shareholders in dividends, buybacks and Synchrony stock over the next couple of years, as planned, will further lubricate Immelt’s glide-path to the egress. With aggressive investors increasingly taking on gigantic companies like Apple and PepsiCo, Immelt’s bold if overdue step should help keep him out of the crosshairs. Even repatriating some $36 billion of cash held overseas, which will incur a hefty tax charge, suggests the mark of a leader willing to get a move on rather than wait for rules to change, and eager to establish his legacy. This item has been corrected to remove an implication that Synchrony has no deposits in paragraph four. Can General Electric keep the activists at bay? GE said on April 10 it would sell most of its GE Capital assets over the next two years, starting with the bulk of its commercial real estate business in multiple transactions valued at $27 billion. Under the plan, GE expects that by 2018 more than 90 percent of its earnings will be generated by its industrial operations, up from 58 percent last year. GE said it would work with regulators to terminate the systemically important financial institution designation on GE Capital. The conglomerate’s board authorized a new stock buyback program of up to $50 billion and GE expects to get about $35 billion in dividends from GE Capital. GE shares gained 5.4 percent in April 10 morning trading.